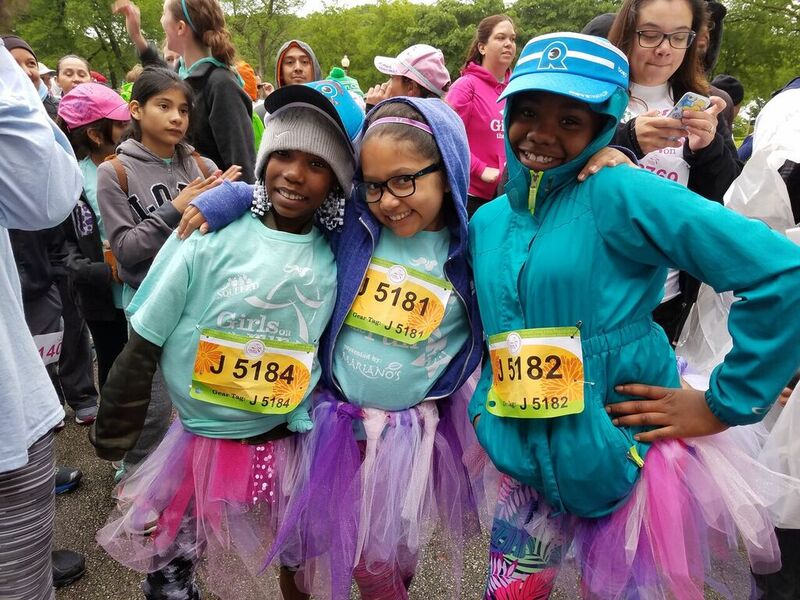 Thousands of girls and families gathered in Grant Park this Saturday for the Squeez’d Girls on the Run 5K presented by Mariano’s. Girls, families, teachers, friends and running buddies gathered by their school’s pink flags the morning on the race. Excitement was high even with the rainy conditions. 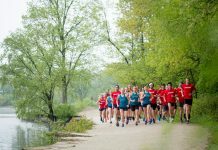 Multiple corrals were assigned to decrease course congestion. 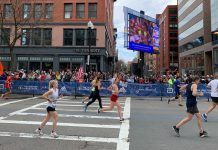 The race started at 8 a.m. with corrals going off through 9 a.m. Each girl had a family member or running buddy to accompany them along the course to ensure their safety. 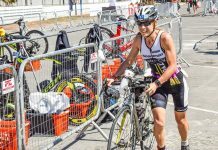 With so many racers and families, the course was busy and it was clear that the large majority of girls were there to have fun in this un-timed event. Runners ran through Grant Park, past Buckingham Fountain and then along the lakefront before looping back towards the finish line. All finishers received medals and refreshments from Mariano’s. The Izzy drinks and addition of glitter to the medals were highlights for the girls I ran with. This was my first time volunteering as a running buddy and it was a great experience. I was paired with a fourth grader who was participating in the program for the second time. We chatted about what the program covers and her upcoming skating birthday party. We saw her friends along the course and they cheered each other on to the finish. As a mother to one boy, it was fun to share in this empowerment event.